Loading and unloading shipping containers involves more than having a dedicated crew with plenty of pallet trucks on hand. Shipping containers are often difficult to maneuver around as it is hard to move trolleys and other storage units into its elevated base. This sometimes requires multiple crew members to move a single truck or to load trucks lighter than normal. 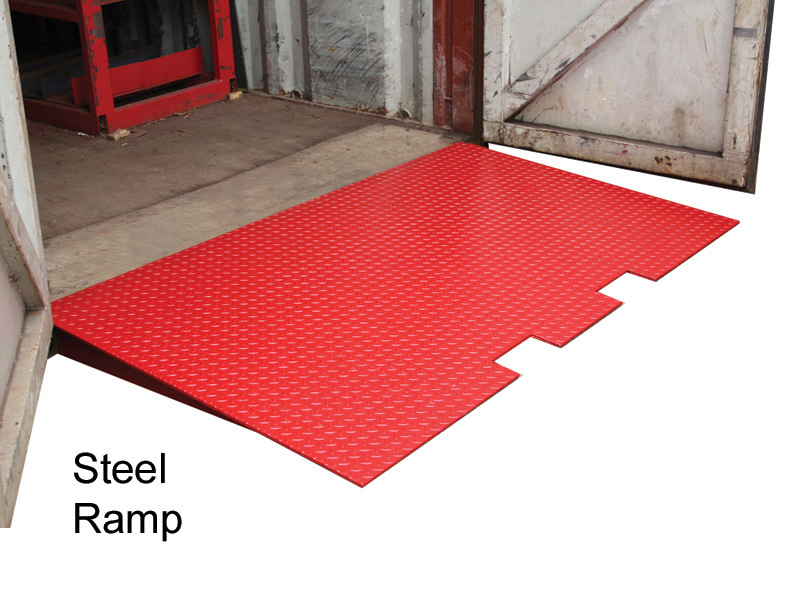 The Workplace Depot is excited to offer the Ground Level Container Access Ramp. This handy unit is designed to help trolleys access standard shipping containers with ease. What is The Purpose of the Ground Level Container Access Ramp? Sometimes even the most common tools in industrial settings are not designed to work with one another. 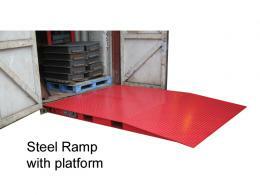 Ground level access ramps provide a great way to make moving trolleys into shipping containers much easier. 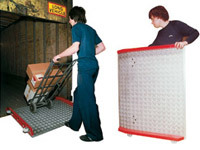 By providing an anti-slip surface that removes the need to tilt or lift a trolley off the ground, it is much simpler to move heavier loads and complete any shipping-related project in a timely manner. Even the most tightly-packed trolleys and carts can be easily moved by using this ramp. This product can prove very useful at any commercial or industrial location. Receiving shipments is something all businesses know about, and the ground level container access ramp is designed to make loading and unloading items much easier. Shipping containers and shipping trucks are common units at most major commercial sites, and these units help both work together seamlessly. This product can prove to be very useful for any project manager who wants to speed things up during the shipping and loading process. The access ramp allows for heavier loads of cargo to be moved quicker and easier. Any worksite can be improved by this simple but versatile unit. Designed to work with standard shipping containers, this ramp can support up to 6,000kg of cargo. Two heavy duty steel designs are available, but the unit is lightweight enough to be easily put into place and moved as needed. Improve your business today with the ground level container access ramp!